I have alluded to it before, this is an utterly unique album by an utterly unique band. 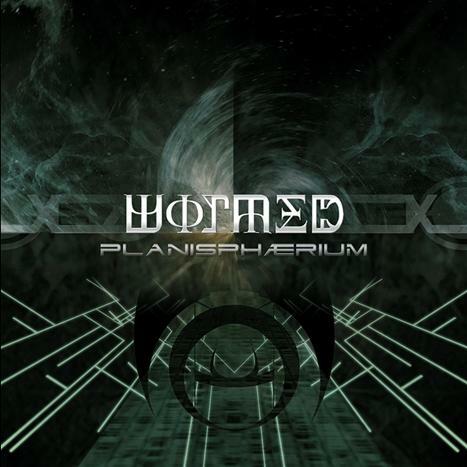 Wormed does not sound like any other band. 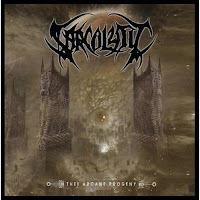 They do science fiction-based slam death metal with an unusual almost dissonant atmosphere to their riffs. As I mentioned on the Initial Impressions post of last year's teaser, the band sounds like Demilich's singer fronting a combination of Devourment and Voivod. It is a truly unique sound. Wormed is one of a kind. German slam/brutal death metal band Defeated Sanity is also highly unusual. The band uses a variety of influences worked into their brutal style of metal, including some almost jazz-like experimentation and sections at times. The vocals are extremely deep and guttural and the riffs fly by at lightning-quick speeds. Defeated Sanity is another example of a highly unusual slam band. Sarcolytic is one of a number of great bands from the Texas Death Metal scene. Most bands from the scene exist on the border between slam and brutal death and Sarcolytic is no exception. While this album, their first full-length, has lightened the slam influences from the earlier material, they are still definitely present and absolutely crushing when they are there. The almost Lovecraftian sound of the band makes this an album to check out. Now we get to a more typical slam album. 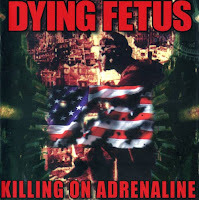 Technically this is a compilation album including the band's fantastic Molesting the Decapitated debut and some demos and of course the infamous "Babykiller" track which is the band's most well-known song. This is exactly what slam should be: short and brutally intense with extremely heavy breakdowns, which are of course the slams. The vocals of Wayne Knupp were also extremely influential on the genre. Dying Fetus was one of the first bands that got me into slam and of course the band was hugely influential on the formation of the subgenre as well. This is, in my opinion, their finest album. It was not the first album I checked out by the band, but it is the one that convinced me of their influence. The band has been softening their sound somewhat lately, but this is brutal as it got for them. Just an incredible, furious album. WOULD YOU LIKE TO BE REVIEWED ON METALLATTORNEY? Email me at shadowking86 AT gmail DOT com. New Poll: What Do You Think of Slam Death Metal? Flashback Video: Megadeth: "Sweating Bullets"